‘The Kite Runner’ is the first novel of ‘Khaled Hosseini’. It has all the required elements which can draw readers towards it self. It teaches the lesson of life, friendship, loyalty and the moral of being human. The story pictures the scenario of Afghanistan in 90’s when the difference between castes where prevalent in the society to its utmost. The hardships of the Afghan people are revealed in passages of power and brutality and an experience which is convincing, vivid, terrifying, and sickening is presented before the readers so that they may able to recognize the struggle of the people of Afghanistan. Published in 2003 by Riverhead Books, it unveils the story of Amir a young boy from the Wazir Akbar Khan district of Kabul, whose closest friend is Hassan, his father's young Hazara servant. The story is set against a backdrop of tumultuous events, from the fall of Afghanistan's monarchy through the Soviet military intervention, the exodus of refugees to Pakistan and the United States, and the rise of the Taliban regime. Hosseini in his interviews while talking about says that he considers The Kite Runner to be a father–son story, exhibiting the familial aspects of the narrative, an element that he continued to use in his later works. Themes of guilt and emancipation feature prominently in the novel, with a critical scene depicting an act of violence against Hassan that Amir fails to prevent. The latter half of the book centers on Amir's attempts to atone for this transgression by rescuing Hassan's son over two decades later. 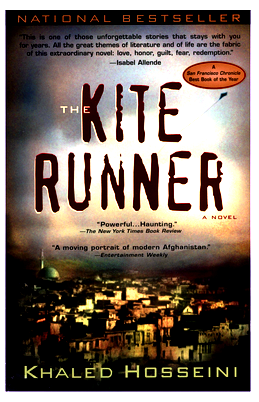 The Kite Runner became a bestseller published by RIVERHEAD BOOKS and was a number one New York Times bestseller for over two years, with over seven million copies sold in the United States. Reviews were generally positive, though parts of the plot drew significant controversy in Afghanistan. Khaled dedicates this book to Haris and Farhan the noor of his eyes and to the children of Afghanistan. Amir is a well-to-do Pashtun boy, and Hassan, a Hazara who is the son of Ali, Amir's father's servant. They spend their days in kite fighting in the hitherto peaceful city of Kabul. Hassan is a successful "kite runner" for Amir; he knows where the kite will land without even keeping a watch at it. Amir's father, a wealthy merchant affectionately refers to as Baba by Amir, loves both boys, but is often critical of Amir, considering him weak and lacking in courage. Amir seeks for a kinder fatherly figure in Rahim Khan, Baba's closest friend, who understands him and supports his interest in writing. Assef, a tarnished violent older boy, mocks Amir for developing a bond with Hazara, which is, according to Assef, an inferior race whose members belong only in Hazarajat. One day, he prepares to attack Amir with brass knuckles, but Hassan stands by Amir, and threatens to shoot out Assef's eye with his slingshot. Assef backs off for the time but the flame of revenge makes him furious. One day, Amir wining the local kite fighting tournament and finally lands up in winning Baba's praise which he had been craving for since he was a child. Hassan runs for a great trophy which was the last cut kite, saying to Amir, "For you, a thousand times over." He not only finds the kite but also encounters Assef in an alleyway. Hassan refuses to give up the kite, for which he is mercilessly beaten up and in the end raped by Assef. Amir who was following Hassan all the way long, witnesses the act but is too scared to intervene with a thought that he may land up inviting the same trauma for himself. He also knew that if he fails to bring home the kite, Baba would be less proud of him. He feels incredibly blameworthy but knows his cowardice would destroy any hopes for Baba's affections, so he keeps quiet about the incident. Afterwards, Amir maintains a distance from Hassan; his feelings of culpability prevent him from facing or interacting with the boy. Amir in order to escape the inside threat plans to turn Hassan out of his sight. He plants a watch and some money under Hassan's mattress in hopes that Baba will make him leave; Hassan falsely confesses when confronted by Baba. Although Baba believes "there is no act more wretched than stealing", he forgives him. To Baba's sorrow, Hassan and Ali leave anyway. Amir is freed of the daily reminder of his spinelessness and betrayal, but he still lives in their shadow. In 1979, five years later, the Soviet Union militarily intervenes in Afghanistan. Amir and Baba escape to Peshawar, Pakistan, and then to Fremont, California, where they settle in a run-down apartment. Baba on one hand begins work at a gas station and Amir after graduating from high school takes classes at a local community college to develop his writing skills. Every Sunday, Baba and Amir in order to make extra money started to sell used goods at a flea market in San Jose. Amir meets fellow refugee Soraya Taheri and her family over there. Baba is diagnosed with terminal cancer but is still capable of granting Amir one last favour: he asks Soraya's father's permission for Amir to marry her. Shortly after they marriage Baba dies. Amir and Soraya settle down in a happy marriage. They on learning that they cannot have children dived in the depths of sea of sorrow. Amir pursues a successful career as a novelist. Fifteen years after his wedding, Amir receives a call from Rahim Khan. He is dying and asking him to come to Peshawar. He inexplicably tells Amir, "There is a way to be good again." Amir goes to pay him a visit and fulfill his wish. From Rahim Khan, Amir gets to know about the people whom he had left behind. Ali died by a land mine and that Hassan and his wife lost their lives when Hassan refused to allow the Taliban to confiscate Baba and Amir's house in Kabul. Rahim Khan further reveals that Ali, being sterile, was not Hassan's biological father. Hassan was actually Baba's illegitimate son and Amir's half-brother. Finally, he tells Amir that the reason he called Amir to Pakistan was to rescue Sohrab, Hassan's son, from an orphanage in Kabul. Amir, accompanied by Farid, an Afghan taxi driver and veteran of the war with the Soviets, searches for Sohrab. They learn that a Taliban official comes to the orphanage often, brings cash, and usually takes a girl away with him. 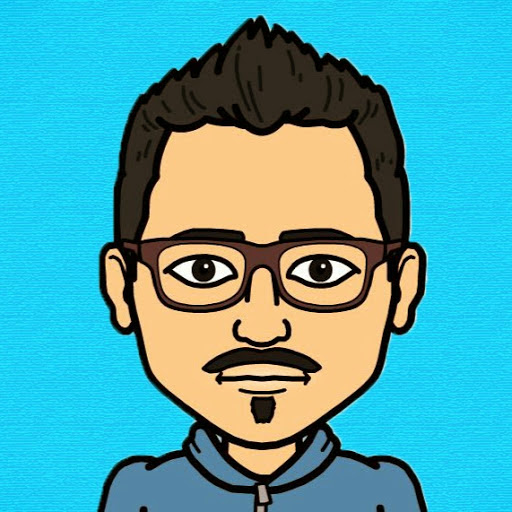 Occasionally he chooses a boy, recently Sohrab. The director tells Amir how to find the official, and Farid secures an appointment at his home by claiming to have "personal business" with him. Amir meets the man, who actually was Assef. He kept at his house and sexually abused the boy. He was made to dance dressed in women's clothes. Assef agrees to renounce him, but at the price of severely beating Amir. Sohrab is not ble to resist and so he interrupts the beating by using his slingshot to shoot out Assef's left eye in a way fulfilling Hassan's threat made many years before. Amir reveals his plans to Sohrab that he would take him back to America and adopt him. However, American authorities demand evidence of Sohrab's orphan status. Amir tells Sohrab that he may have to for the short term break his promise until the paperwork is completed, and Sohrab attempts suicide. Amir after great hardships manages to take him back to the United States. After his adoption, Sohrab refuses to interact with Amir or Soraya until the former reminisces about Hassan and kites and shows off some of Hassan's tricks. In the end, Sohrab only gives a lopsided smile, but Amir takes it with all his heart as he runs the kite for Sohrab, saying, "For you, a thousand times over."